The provincial government’s proposed changes to the Ontario College of Trades are outlined in Schedule 17 of Bill 70, an omnibus budget bill tabled on Nov. 23. The draft legislation has been referred to the standing committee on finance and economic affairs, and may be modified following committee review before it receives third reading and royal assent. You can read the complete draft legislation on the Ontario Legislative Assembly site. (4) The definitions of “compulsory trade” and “voluntary trade” in section 1 of the Act are amended by striking out “Board regulation” wherever it appears and substituting in each case “Minister’s regulation”. (b) where a Minister’s regulation referred to in clause (a) has not been made, the individual engages in any practice that is prescribed by the Board as being within the scope of practice of the compulsory trade. 3. Subsection 9 (3) of the Act is amended by striking out “Corporations Act” and substituting “Not-for-Profit Corporations Act, 2010”. (2) Paragraph 10 of subsection 11 (1) of the Act is repealed. (3) Paragraph 12 of subsection 11 (1) of the Act is amended by adding “and enforcement” after “compliance”. (4) Subsection 11 (2) of the Act is amended by adding “and enforcement” after “compliance”. (2) The Compliance and Enforcement Committee established under section 34.1 shall provide its recommendations regarding the contents of the College’s compliance and enforcement policy to the Board and the Minister within 120 days after the day the Building Ontario Up for Everyone Act (Budget Measures), 2016 receives Royal Assent. (3) The compliance and enforcement policy must be approved by the Board before it is implemented. (4) The Board shall, within 180 days after the day the Building Ontario Up for Everyone Act (Budget Measures), 2016 receives Royal Assent, approve a compliance and enforcement policy, send the approved policy to the Minister and make the policy public. (5) The Compliance and Enforcement Committee may recommend amendments to the policy at any time, but any such amendments must be approved by the Board before they are implemented. (6) The Board shall, upon making amendments to the compliance and enforcement policy or approving amendments recommended by the Compliance and Enforcement Committee, send the amendments to the Minister and make them public promptly. (7) For the purposes of subsections (4) and (6), the compliance and enforcement policy shall be available for public inspection during normal business hours in the office of the College and be posted on the College’s website or made available through a hyperlink at the College’s website. (8) The compliance and enforcement policy is not a regulation within the meaning of Part III (Regulations) of the Legislation Act, 2006. 6. (1) Subsection 21 (2) of the Act is amended by striking out “and on classification of trades as compulsory trades or voluntary trades”. (3) A decision of a review panel is final and binding. (3.1) Nothing in subsection (3) prevents a court from reviewing a decision of a review panel, but a decision of a review panel concerning the interpretation of this Act shall not be overturned unless the decision is unreasonable. (4.1) A person may not be appointed to a review panel if the person is currently a member of a classification panel. 7. Section 24 of the Act is amended by striking out “section 63” at the end and substituting “section 63.1”. 34.1(1) In addition to the committees named in subsection 30 (1), the Board shall establish a Compliance and Enforcement Committee to advise the Board on compliance and enforcement issues in respect of matters within the jurisdiction of the College. (c) review the policy and its implementation by the College as often as it considers necessary and, in any event, not less than annually. 5. One member shall be a deputy registrar of the College. (4) The Board shall appoint one of the members described in paragraph 3 of subsection (3) who is a member of the Board as the chair of the Compliance and Enforcement Committee. (5) Sections 33 and 34 do not apply to the Compliance and Enforcement Committee. 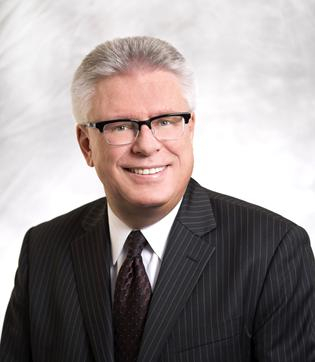 (3.1) Despite subsections (1), (2) and (3), no certificates of qualification or statements of membership may be issued in respect of a trade that is prescribed by a Minister’s regulation as a trade for the purposes of this Act on or after the day section 16 of Schedule 17 to the Building Ontario Up for Everyone Act (Budget Measures), 2016 comes into force until the trade has been prescribed by a Minister’s regulation as a voluntary trade or a compulsory trade. 10. The English version of subsection 44 (9) of the Act is amended by striking out “its being filed” and substituting “it being filed”. 59.1 (1) If the Registrar or an inspector appointed under section 54 believes that a person has contravened section 2 or 4, the Registrar or inspector may issue a notice of contravention to the person setting out his or her belief and requiring the person to pay the administrative penalty prescribed by a Lieutenant Governor’s regulation for the contravention in question. 2. To prevent a person from deriving, directly or indirectly, any economic benefit as a result of a contravention of section 2 or 4. (c) if the contravention involves an individual performing work or engaging in the practice of a compulsory trade, whether there is a risk of harm to that individual, to other individuals at or near the site where the trade is being performed or practised, or to the public. (4) The amount of an administrative penalty prescribed by a Lieutenant Governor’s regulation for a contravention shall reflect the purposes referred to in subsection (2). (5) A notice of contravention shall not be issued under this section more than one year after the contravention first came to the knowledge of the Registrar or inspector. (c) inform the person of his or her right to request a review of the notice by the Ontario Labour Relations Board and of the timelines to do so set out in subsection 59.2 (1). (7) If a person who has received a notice of contravention does not apply for a review under subsection 59.2 (1), the person shall pay the penalty to the Minister of Finance within 30 days after the day the notice of contravention was served. (b) if the Ontario Labour Relations Board considers it appropriate in the circumstances to extend the time for applying, within the period specified by the Ontario Labour Relations Board. (2) If a person who has received a notice of contravention applies for a review under subsection (1), the Ontario Labour Relations Board shall conduct the review in accordance with any rules that may be made by the Chair of the Ontario Labour Relations Board under clause (3) (a) or subsection (4). (b) requiring the use of forms approved by the Ontario Labour Relations Board. 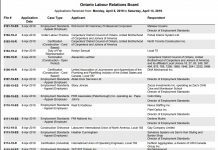 (c) authorize the Ontario Labour Relations Board to make or cause to be made such examination of records and such other inquiries as it considers necessary in the circumstances. (5) Rules made under subsection (4) apply despite anything in the Statutory Powers Procedure Act. (6) Rules made under subsection (3) or (4) are not regulations within the meaning of Part III (Regulations) of the Legislation Act, 2006. (c) such other persons as the Ontario Labour Relations Board may specify. (g) to determine the form in which and the time as of which any party to the review must file or present any thing, document or information and to refuse to accept any thing, document or information that is not filed or presented in that form or by that time. (9) Where, in a review of a notice of contravention, the Ontario Labour Relations Board is satisfied that a mistake has been made in good faith with the result that the proper person has not been named as a party or has been incorrectly named, the Ontario Labour Relations Board may order the proper person to be substituted or added as a party to the review or to be correctly named on such terms as appear to the Ontario Labour Relations Board to be just. (b) may consider any other factor it considers relevant. (e) find that the person did contravene the provision and that the notice of contravention is justified having regard to the factors set out in subsection (10) but that the amount of the penalty is excessive in the circumstances and amend the notice by reducing the amount of the penalty. (12) A decision by the Ontario Labour Relations Board under this section is final and binding on the parties to the review. (13) Nothing in subsection (12) prevents a court from reviewing a decision of the Ontario Labour Relations Board under this section, but a decision of the Ontario Labour Relations Board concerning the interpretation of this Act shall not be overturned unless the decision is unreasonable. (14) If the Ontario Labour Relations Board affirms a notice of contravention or amends the notice by reducing the amount of the penalty, the person shall pay the penalty determined by the Ontario Labour Relations Board within 30 days after the day of the Ontario Labour Relations Board’s decision. (15) A person who is required to pay a penalty under this section shall pay the penalty to the Minister of Finance. (16) Except with the consent of the Ontario Labour Relations Board, no member of the Ontario Labour Relations Board, its registrar, its other officers or clerks or servants can be compelled to testify in a civil proceeding, in a proceeding before the Ontario Labour Relations Board or in a proceeding before any other tribunal respecting information obtained in the course of their duties under this Act. 59.3 (1) If a person who is required to pay an administrative penalty fails to pay it within the time required under subsection 59.1 (7) or 59.2 (14), the notice of contravention or the Ontario Labour Relations Board’s decision, as the case may be, may be filed with a local registrar of the Superior Court of Justice and may be enforced as if it were an order of the court. (2) Section 129 of the Courts of Justice Act applies in respect of a notice of contravention or decision filed with the Superior Court of Justice under subsection (1) of this section and, for the purpose, the date on which the notice of contravention or decision is filed under subsection (1) shall be deemed to be the date of the order that is referred to in section 129 of the Courts of Justice Act. 59.4 An administrative penalty imposed under subsection 59.1 (1) or 59.2 (11) that is not paid within the time required under subsection 59.1 (7) or 59.2 (14) is a debt due to the Crown and enforceable as such. 59.5 (1) The Minister may authorize any person to act as a collector for the purposes of this section and sections 59.6 and 59.7 and to exercise the powers that the Minister specifies in the authorization to collect administrative penalties owing under this Act. (2) Despite clause 22 (a) of the Collection and Debt Settlement Services Act, the Minister may also authorize a collector to collect a reasonable fee or reasonable disbursements or both from each person from whom the collector seeks to collect administrative penalties owing under this Act. (3) The Minister may impose conditions on an authorization under subsection (2) and may determine what constitutes a reasonable fee or reasonable disbursements for the purposes of that subsection. (4) The Minister shall not authorize a collector who is required to be registered under the Collection and Debt Settlement Services Act to collect disbursements. 59.6 (1) A collector may exercise any of the powers specified in an authorization of the Minister under section 59.5. (2) If a collector is seeking to collect an administrative penalty owing under a notice of contravention, any fees and disbursements authorized under subsection 59.5 (2) shall be deemed to be owing under and shall be deemed to be added to the amount of the penalty set out in the notice of contravention. 59.7 (1) A collector may agree to a settlement with the person from whom he or she seeks to collect money, but only with the written agreement of the Minister. (2) The person who owes money under a settlement shall pay the amount agreed upon to the collector, who shall pay it out in accordance with subsection 59.6 (3). 59.8 The College shall publish particulars of a notice of contravention issued under subsection 59.1 (1) in accordance with a Minister’s regulation. 13. Section 61 of the Act is repealed. 63. (1) The College of Trades Appointments Council is continued under the name College of Trades Appointments Council and Classification Roster in English and Conseil des nominations et Registre du classement de l’Ordre des métiers in French. (2) The chair and the members of the old Appointments Council who are in office on the day before the day the Building Ontario Up for Everyone Act (Budget Measures), 2016 receives Royal Assent shall continue in office as the associate chair and members of the Appointments Council branch of the Appointments Council and Classification Roster until the expiry of their terms. 2. The Classification Roster described in section 63.2. (4) The chair of the Appointments Council and Classification Roster shall be responsible for the administration of the Appointments Council and Classification Roster. (5) The term of office of the chair shall be at the pleasure of the Lieutenant Governor in Council and shall not exceed three years. (6) The chair may serve for more than one term. (7) The chair may not serve for more than six consecutive years but is eligible for reappointment after one year’s absence from the Appointments Council and Classification Roster. (8) The chair shall be paid such remuneration and allowance for expenses as are fixed by the Lieutenant Governor in Council. (9) The Appointments Council and Classification Roster shall perform its functions under this Act in accordance with a memorandum of understanding to be entered into between the chair, on behalf of the Appointments Council and Classification Roster, and the Minister. (10) The Minister shall provide the Appointments Council and Classification Roster with such administrative support as the Minister considers necessary for the purposes of the Appointments Council and Classification Roster. 63.1 (1) The Appointments Council shall be composed of an associate chair and eight other members appointed by the Lieutenant Governor in Council. (2) The term of office of a member of the Appointments Council shall be at the pleasure of the Lieutenant Governor in Council and shall not exceed three years. (3) A member of the Appointments Council may serve for more than one term. (4) A member of the Appointments Council may not serve for more than six consecutive years but is eligible for reappointment after one year’s absence from the Appointments Council. 3. A former member of the old Appointments Council, unless at least one year has elapsed since he or she was a member of the old Appointments Council. (6) The associate chair and other members of the Appointments Council shall be paid such remuneration and allowance for expenses as are fixed by the Lieutenant Governor in Council. (9) The Appointments Council shall perform the duties set out in subsection (10) and such other duties as may be assigned to it by the Lieutenant Governor in Council. 2. At least four members shall be appointed from the roster of adjudicators. (h) satisfies any other condition prescribed by a Minister’s regulation. (3) The term of office of a member of the Classification Roster shall be at the pleasure of the Lieutenant Governor in Council and shall not exceed three years. (4) A member of the Classification Roster may serve for more than one term. (5) A member of the Classification Roster may not serve for more than six consecutive years but is eligible for reappointment after one year’s absence from the Classification Roster. (6) A member of the Classification Roster is not eligible to be appointed to the Board, a divisional board or a trade board, and a former member of the Classification Roster is not eligible to be appointed to the Board, a divisional board or a trade board, unless at least one year has elapsed since he or she was a member of the Classification Roster. (7) The associate chair and the other members of the Classification Roster shall be paid such remuneration and allowance for expenses as are fixed by the Lieutenant Governor in Council. (b) ensure that such other duties as may be assigned to the Classification Roster by the Lieutenant Governor in Council are performed and for this purpose may select members of the Classification Roster, including himself or herself, to perform assigned duties. (9) A classification panel shall determine such matters as are specified in section 63.6. (2) Subsection 63 (2) of the Act, as re-enacted by subsection (1), is repealed. (3) Paragraph 3 of subsection 63.1 (5) of the Act, as enacted by subsection (1), is repealed. 63.3 (1) The Board shall prescribe a scope of practice for every trade prescribed by a Minister’s regulation as a trade for the purposes of this Act. (2) A particular practice may be included in more than one trade’s scope of practice. (3) The Board shall develop a policy regarding the establishment and review of scopes of practice for trades. (b) provisions relating to building consensus among relevant divisional boards and trade boards in establishing and reviewing scopes of practice. (5) The policy referred to in subsection (3) shall be available for public inspection during normal business hours in the office of the College and be posted on the College’s website or made available through a hyperlink at the College’s website. (6) A policy referred to in subsection (3) is not a regulation within the meaning of Part III (Regulations) of the Legislation Act, 2006. (e) any other matter that the Board considers relevant. 63.4 (1) For any trade that is prescribed by a Minister’s regulation as a trade for the purposes of this Act on or after the day section 16 of Schedule 17 to the Building Ontario Up for Everyone Act (Budget Measures), 2016 comes into force, the Board shall, by a Board regulation, prescribe the scope of practice for the trade within the period, if any, prescribed by a Minister’s regulation. (2) At the time the Board submits a regulation prescribing the scope of practice for a trade to the Minister for his or her review, the Board may also provide written submissions setting out the Board’s opinion as to whether the trade should be prescribed as a voluntary trade or referred to the Classification Roster for determination of the matters set out in paragraphs 1 and 3 of subsection 63.6 (3). (b) refer the trade to the Classification Roster for the purpose of determining the matters set out in paragraphs 1 and 3 of subsection 63.6 (3). 63.5 (1) The Board may refer a trade to the Classification Roster for the purpose of determining the matters set out in paragraphs 2 and 3 of subsection 63.6 (3). (b) after the Minister’s regulation referred to in clause (a) was made, the Board amends the scope of practice of the trade and is of the opinion that any of the new practices should constitute engaging in the practice of the trade for the purposes of sections 2 and 4. (3) The referral of a trade to the Classification Roster under subsection (1) or (2) shall be in accordance with the process prescribed by a Board regulation, and the Board may not make such a referral until the regulation has been made. 3. One appointee shall be a member described in paragraph 2 of subsection 63.2 (1) who is an employee representative. The appointee shall not be affiliated with the specific trade to which the matter relates but shall, unless it is impracticable, be affiliated with the particular sector described in section 18 to which the trade belongs. (b) is currently a member of a review panel. 3. Whether or not engaging in any practices within the scope of practice of a compulsory trade, whether or not the practice was referred to the classification panel, should constitute engaging in the practice of the trade for the purposes of sections 2 and 4. (d) one or more practices within the scope of practice of a compulsory trade constitute engaging in the practice of the trade for the purposes of sections 2 and 4, as prescribed by a Minister’s regulation referred to in subsection (9), and should no longer be considered as such. (5) The classification panel shall recommend an effective date for the panel’s determination, which is the date on which it recommends that its determination under subsection (3) should take effect, and the Minister may accept this date or set out a different date in a regulation referred to in subsection (9). (b) determine any transitional issues related to a determination under subsection (3) that are prescribed by a Minister’s regulation. (7) In addition to the restriction on referral during any period of repose under clause (6) (a), the Board shall not refer the matter determined by the classification panel again to the Classification Roster during the period between the date of the panel’s determination and the effective date set out in a Minister’s regulation. (8) The classification panel shall report to the Minister on its determinations under subsections (3) and (6) and on its recommendation under subsection (5). (b) setting out the effective date for any determination under subsection (3). (b) no change is needed to the current determination of which practices within the scope of practice of a compulsory trade constitute engaging in the practice of the trade for the purposes of sections 2 and 4, as prescribed by a Minister’s regulation referred to in subsection (9). (11) The classification panel shall also determine whether there should be a period of repose of up to four years, which shall be the minimum period of time that must elapse following the date of the panel’s determination of the matter before which the Board may refer the matter again to the Classification Roster. (12) The classification panel shall report to the Minister on its determinations under subsections (10) and (11). (13) After the Minister receives the report from the classification panel, the Minister shall, if the panel determines that there should be a period of repose under subsection (11), make a regulation implementing that determination. (14) The classification panel may not begin making any determinations under subsection (3) until a Minister’s regulation has been made prescribing the criteria and the process to be used by classification panels in making such determinations. (15) In addition to considering any criteria prescribed under subsection (14), a classification panel making a determination under subsection (3) shall consider whether there is a risk of harm to the individual performing the work or engaging in the practice of the trade, to other individuals at or near the site where the trade is being performed or practised, or to the public. (c) the trade has been prescribed by a Minister’s regulation as a voluntary trade or a compulsory trade. (2) Clause 65 (4) (a) of the Act is amended by striking out “on the day that is one month after the date of registration” at the beginning and substituting “on the 90th day after the date of registration or, if a date is prescribed, on the prescribed date”. 18. (1) Paragraph 2 of subsection 72 (1) of the Act is amended by striking out “63 (10) (e)” at the end and substituting “63.1 (11) (e)”. (2) Paragraph 9 of subsection 72 (1) of the Act is amended by striking out “providing that the Board or a committee of the Board” at the beginning and substituting “providing that the Board, a committee of the Board or the Registrar”. 19. (1) Paragraph 12 of subsection 73 (1) of the Act is amended by adding “and section 34.1” after “subsection 30 (1)” in the portion before subparagraph i. (2) The French version of paragraph 21 of subsection 73 (1) of the Act is amended by striking out “formules” and substituting “formulaires”. (2) Subsection 74 (2) of the Act is amended by striking out “and the date as of which that Act applies to them” at the end. (6) Clause 74 (3) (e) of the Act is amended by adding “and prescribing a date, for the purposes of clause 65 (4) (a), on which a registered training agreement is cancelled” at the end. (7) Clause 74 (3) (i) of the Act is amended by adding “or amendments to this Act” at the end. 21. Subsection 78 (2) of the Act is amended by striking out “a member of the Appointments Council, the Board” and substituting “the chair of or members of either branch of the Appointments Council and Classification Roster, a member of the Board”. 87. (1) The Minister shall initiate a review of this Act and the regulations made under it, or portions of the Act and regulations, within two years after the day the Building Ontario Up for Everyone Act (Budget Measures), 2016 receives Royal Assent. (b) make a written report respecting the review available to the public. 87.1 Any review by a review panel on the classification of a trade as a compulsory trade or a voluntary trade that has not been concluded before the day the Building Ontario Up for Everyone Act (Budget Measures), 2016 receives Royal Assent shall terminate on that day. 87.2 Every trade that was classified as compulsory or voluntary under the Act, as it read immediately before the Building Ontario Up for Everyone Act (Budget Measures), 2016 received Royal Assent, shall be deemed to be prescribed by a Minister’s regulation as a compulsory trade or voluntary trade, as the case may be, until such time as it may be reclassified under section 63.6. 1. Sections 88 and 89. 2. Subsections 90 (2), (3) and (4). 3. Sections 91, 92 and 93. 26. Ontario Regulation 279/11 is revoked. 27. Schedule 70.4 to Regulation 950 of the Revised Regulations of Ontario, 1990 (Proceedings Commenced by Certificate of Offence) made under the Provincial Offences Act is revoked. 28. (1) Subject to subsections (2) to (6), this Schedule comes into force on the day the Building Ontario Up for Everyone Act (Budget Measures), 2016 receives Royal Assent. (2) Section 3 comes into force on the later of the day subsection 4 (1) of the Not-for-Profit Corporations Act, 2010comes into force and the day the Building Ontario Up for Everyone Act (Budget Measures), 2016 receives Royal Assent. (3) Subsection 14 (2) comes into force three years after the day the Building Ontario Up for Everyone Act (Budget Measures), 2016 receives Royal Assent. (4) Subsection 14 (3) comes into force one year after the day the Building Ontario Up for Everyone Act (Budget Measures), 2016 receives Royal Assent. (5) Subsection 1 (3), section 2, subsection 6 (3), sections 11 and 16 and subsections 18 (4), 20 (1), (3) and (5) come into force on a day to be named by proclamation of the Lieutenant Governor. (6) Section 27 comes into force 180 days after the day the Building Ontario Up for Everyone Act (Budget Measures), 2016 receives Royal Assent.